I’m actively on the hunt for great future MMD Book Club selections and 2018 Summer Reading Guide picks, and I’ve been reading up a storm because of it. Here’s a sampling of what I’ve finished this month. 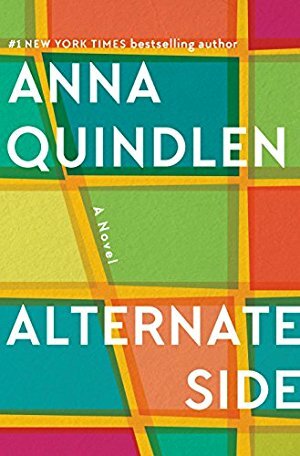 I just finished Alternate Side. I adore Anna Quindlen…she’s one of my go-to authors and she just “gets” women. But, I was underwhelmed by this one. I thought it would’ve worked better as a nonfiction essay collection about NYC life. I know she can do better from a plot perspective (Every Last One and One True Thing). I have been listening to the “What Should I Read Next” podcast and Audible was the sponsor. I’ve never read anything via audio before, so I thought since there was a little promotion for Anne’s listeners, I would try it. I read “A Man Called Ove” through audible and LOVED IT!!!! I heard Anne mention it in one of the podcasts and thought I would start with that book. Since then, I’ve been hooked and I’ve been exercising more:) Win-win! I can’t say how much this blog, podcast, and reading club have changed my reading life. I don’t know why but reading more has made me more calm and productive in other things. I think because taking a small time out to read and have a “me moment” has given me energy to tackle everything else. I’m always looking for audiobook recommendations, because I’m kind of a finicky audio listener, and I think I’ll have to listen to Dream More next. I love it (usually) when authors read their own stories and memoirs! 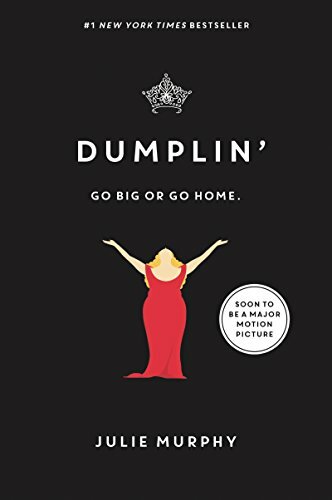 I’ve heard great things about Dumplin too, I will have to add that to my list. 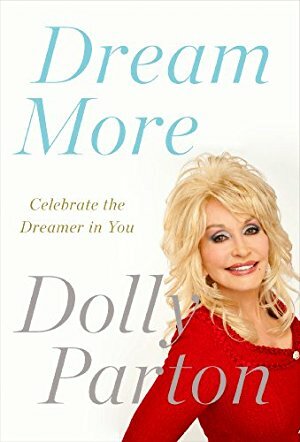 I’m really tempted to read/listen to Dream More by Dolly Parton. I don’t usually go for biographies but this one seems like it might be the perfect antidote to a bad week at work! If you and Anne love bios, don’t miss Tatiana Du Rosnay’s bio of Daphne du Maurier”:”Manderley Forever”! You will learn so much about this special author. Book is nominated for an Agatha! I started to read A Tale for the Time Being and thought it was TOO strange to continue. I seem to be reading a lot of biographies lately. Escape from Camp 14- which was so eye opening! Capital Gaines was great and short. I’m currently reading two “door stops”: Team of Rivals by Doris Kearns Goodwin and Long Walk to Freedom by Nelson Mandela. I’m still making my way through those and then I just enjoyed a couple of mystery books from various series. Thanks for the recommendations! 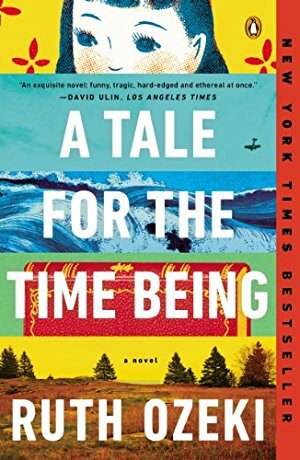 I loved “A Tale for a Time Being,” but agree that it was mind-bending and gritty! I remember being struck with how well the family dynamics were described and the growth that the character of the schoolgirl displayed. It has stuck with me this year and I’d be interested in reading the author’s other books. When you say gritty, what exactly do you mean? I am reading As Bright As Heaven by Susan Meissner. I am really enjoying it. All of these recommendations sound really good! Just finished The Stolen Marriage, definitely held my interest. Struggling to get through a Prayer for Owen Meany. I’m on chapter 10 of 22. Does it get better??? This book has been highly recommended, but so far it is tough to keep going! This is a book I struggled to get through as well. I won’t say it gets “better” but the last half of the book really brings everything together in a fascinating way. This book has also stuck with me despite not being an immediate favorite – overall, I’m glad I finished it. THANK YOU!!! I will plow ahead! I recently finished The Bear and the Nightingale and loved it! I recommend it for anyone that enjoyed The Snow Child and wants to read something that’s a little more like a classic fantasy novel. Right now I’m reading The Children of Blood and Bone and, oh man, this book is living up to the hype for me. This is one heck of a debut novel and while it is classified as YA, it’s one of those that doesn’t have to be. Finished Beth Gutcheon’s More than You Know a week ago and can’t quit thinking about it. Not new but it was captivating and there would be hundreds of potential discussion points for a book review! I’m listening to Nightingale and reading and I’ll Be Seeing You, both about women characters during war. I’m also on book 8 of the Flavia De Luce series, which I adore. I just started The Perfect Nanny, and I’m glad that it isn’t a long book, I keep reading apprehensively because I know something horrible is going to happen (the bookish version of watching the scary parts of movies with a pillow over your face). And I am reading A Certain Age by Beatriz Williams because I adore her books! I loved Before We Were Yours, and I highly recommend her Tending Roses series. I have completed Trevor Noah’s Born a Crime. I laughed until I almost peed in my pants. The ending was very sad. It is a very beautifully written book with an intention beyond its pages. I have also read Roberta Cava’s rich for the Top. A book all corporate women should read. I discovered things about the corporate sector no body will ever talk to you about. Speaking of tough love. Hello! This month I decided to read on a theme so March is murder! I’ve read Force of Nature, Jane Harper, which I liked but slightly disappointed by the ending. Next up was The Seven Deaths of Evelyn Hardcastle by Stuart Turton which is insane – described as Groundhog Day meets Gosford Park, then An Unsuitable Job for a Woman, PD James which I really liked. I’ve just begun my 4th Louise Penny (thanks to WSIRN) which is like relaxing in the company of a very good friend. I just finished The Dirty Life (about a city girl’s experience falling in love with a farmer…and everything that came along with it) and loved it, and I’ve also been pushing myself to do some “assigned reading” this school year, as my book picks often trended towards the fluffy and lacked substance. For this “term,” I assigned myself Out of the Dust (a middle-grade historical fiction written in free verse that was quick but beautiful), How Will You Measure Your Life? (a self-help book that applies business management principles to everyday life), and Lord of the Flies (which I haven’t finished yet). I also read my first Wallace Stegner book (Crossing to Safety), which might possibly have been one of the best books I’ve ever read in my life. 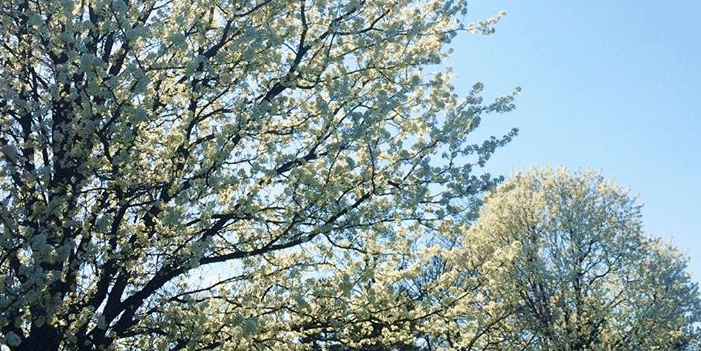 Pingback: Books in Progress: What I'm Reading Right Now - March 2018 - Read. Eat. Repeat. I just finished A Man Called Ove and I loved it. Before that I had finished The Nightingale and loved that one also. Both books made me cry. Now I am starting The Lilac Girls. I just finished Educated: A Memoir. It was a personally tough read for me. I’m reading Blue Horizons by Beth Leonard, and on the hunt for a fluffy read. I read Dream More about a year ago and loved it. She’s so funny and very uplifting. I am reading Year of Wonders by Geraldine Brooks….gripping and also gritty. If you haven’t read Suanne Laqueur’s “An Exaltation of Larks”, you must. It is one of those books that I could not read fast enough and when I was nearing the end, could not read slowly enough. The characters are very relatable and the story is enthralling. I wanted to know what happened to them almost as much as I wanted to bump onto them casually on the street outside a coffee shop in upstate NY and find out in real life! The good news? The sequel, “A Charm of Finches” in on the shelves. The bad news, book three is still in production and isn’t quite ready for human consumption. Yessss Dolly! And I loved the episode with Jolenta and Kristen by the way! I went through all of the By the Book episodes in a week. I just finished The Opposite of Everyone by Joshilyn Jackson last night. SO good. I really enjoy her books – print and audio. Now I’m almost done with 84, Charing Cross Road – also good. Just finished “The Inquisitor’s Tale” by Adam Gidwitz and it was fantastic! Though solidly a kid’s book, I would recommend it for adults in a heartbeat. May very well be my favorite book of 2018. Also nearly done with “Learning to Walk in the Dark” by Barbara Brown Taylor and loving it as well. Would file this one, though, as a book that needs to find you at the right time. 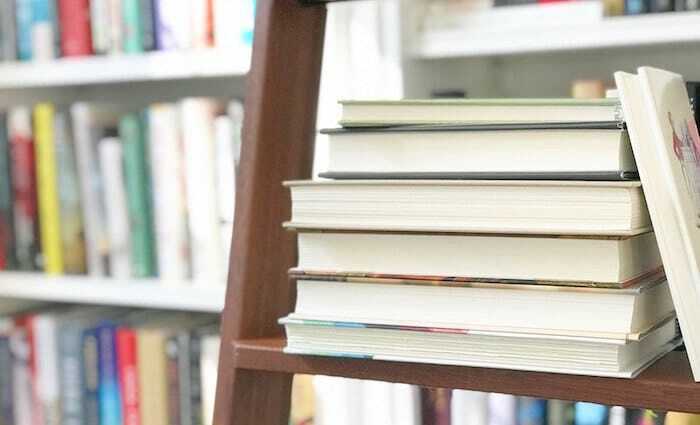 Pingback: Books lately: What I've been reading - Happy. Pretty. Sweet. I loved A Tale for the Time Being precisely because it was weird and completely unexpected. I picked it up after reading Ozeki’s My Year of Meats (after it had sat on my bookshelf for YEARS) and definitely want to read more of her work. 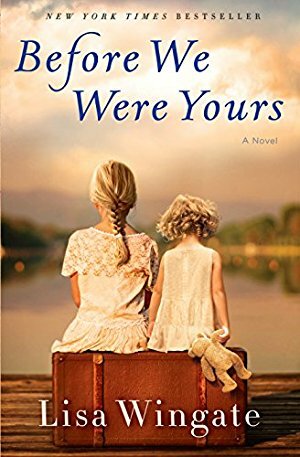 I just read Before We Were Yours also! It was really good. When we drive to visit my husband’s family in Arkansas we drive right by Mud Island. I don’t think I will ever be able to pass by it again without remembering this poignant book. After hearing about Dolly Parton’s book for the second time in a week, I checked our library and it was available for immediate audio download. I just love listening to her tell her story! Thanks for the recommendation and the link up! Not sure if you get to read all comments but I’ll comment anyway. Love to see what you’re reading and your honest opinion. I love that when you read YA you read with thinking if it would be appropriate for your daughter. I do too and haven’t found much to pass along yet. (although I love some of the books) I guess I’m too conservative. I’m currently reading “As Bright As Heaven” I like it well enough but I think it’s just about to grab me.